Our main goal is to support the income-generating activities of local women by providing small loans. 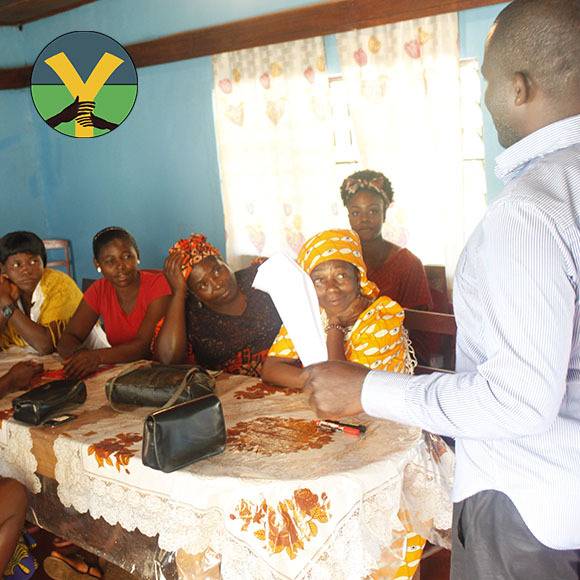 In addition to that, we want to provide an environment in which these women could work together on their own accord to design the framework for their own development. Our hope is that these efforts will work to build the capacity of women—specifically single mothers—to become more economically independent and in better positions to provide for their children. Many times, the hard work of Cameroonian women goes unnoticed. Women are arguably the backbone of Cameroon’s agricultural economy, yet hit the glass ceiling of gender-discrimination and societal expectations in many areas of their lives. Much of the reason for women’s struggle to gain income in this agricultural economy has to do with their acute lack of credit and inability to raise enough money to engage in lucrative business. Our vision is make the rural town of Belo a safe-haven of economic opportunity and empowerment for women by highlighting the vital role that women play in society and providing women with access to economic opportunity. It is also our hope that the Belo Beautiful initiative elevates the voices of the hard-working women of Belo and provides them with the tools to activate change in their own lives and community. 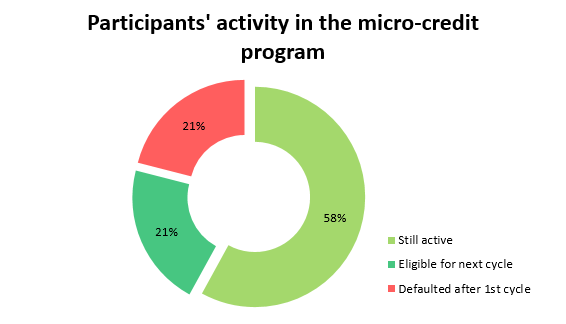 RUDEC’s micro-credit program has had 33 different participants since 2012 and currently has 19 active participants, that is 58% of all participants, who are either on their second or third loan cycle. None of the current participants are late with payments. There are 7 participants, that is 21% of all participants, who have finished their second or third cycle and are eligible for another loan cycle if they choose so. That means that 4 out of 5 participants of the project have completed more than one loan cycle and are eligible for more credit. Out of the 33 participants, 7 have defaulted after the first loan cycle. That is 21% of all participants, meaning one in five participants only takes part of one loan cycle, whereas all others are either still active or have just finished a loan cycle. There has been no participants who have failed to pay back the loan in it’s entirety, making the success rate of repayments 100%. However, 2 participants have failed to pay back all of the interest they owed, making up 6% of all participants who have failed to deliver on interest. All up, an amount of 1 720 000 FCFA has been given out from 2012 until now. Although there has been 33 individual participants in 4 groups, 71 loans have been given out during 3 cycles. That makes the average loan amount 24 200 FCFA.